Thomas Sutcliffe Mort (1816-1878), was born on the 23rd Dec 1816, son of Mr Jonathan Mort and Mrs Mary Mort (Sutcliffe) of Bolton, Lancashire, England. His father Jonathan was born about 1787 in Bolton Le Moors Lancashire. Living to a ripe old age, he was buried on the 24th February 1883 in Little Bolton. He married Mary Sutcliffe on the 12th January 1809. Thomas had four other brothers and a sister. Catherine Tonga (possibly Tonge) in 1810, William in 1812, John in 1814 (who sadly died the following year) a second John in 1818 (who also lived only a short while) followed by Henry in 1819. Henry Mort was an auctioneer, commercial agent and pastoralist. Educated in Manchester, he travelled to Sydney with his brother, T. S. Mort, in 1840. He went to Moreton Bay, returned to Sydney and entered Mort & Co. auctioneers and wool brokers, formed in 1855 to take over the business. He retained his pastoral interests and in 1859 held pastoral interests in the Darling Downs. He was a freeholder of land. He was also Director of Fresh Food and Ice Company and the Mercantile Bank of Sydney plus the Illawarra Steam Navigation Company. 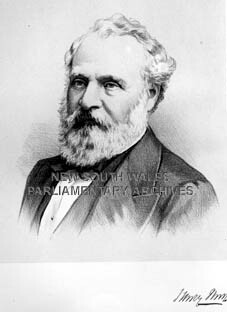 The Honourable Henry Mort, was a life member of the Legislative Council. He initially married Maria Laidley, a sister of his brother's wife, with an issue of 3 sons and 3 daughters. He was married again in 1878 to the widow of Dr Rowland Traill. Henry Mort was a well respected man who served as a Director of many companies. In 1838 Thomas Sutcliffe moved to Australia and shortly after this (1843) he started a wool-broker company. By 1856 he had purchased land 200 miles south of Sydney. His estate covered 38,000 acres. In 1861 he built the first freezing works in the world which was to become the New South Wales Fresh Food and Ice Co. In 1863 he formed the Mort's Dock and Engineering Co. Ltd.
What was so great about this man? Thomas was ambitious and relentless. It is more a question of where do you begin or pause for breath. What did he not do? His interests were spread across many fields of endeavour. He formed a docking company with Captain Rountree in Waterview Bay in 1855. By 1861, Rountree had left the company to the sole ownership of Mort, who leased the dock from time to time to various shipping companies and individuals, including Rountree who had set up his own ship letting business. He had many advanced ideas for his times, including his proposal to sell shares in the business to some of his employees. While it soon became apparent that the employees to be favoured did not reach below foremen, his reasons for making the offer were clear enough as quoted from Mort’s speech to his employees by Alan Barnard in his Visions and Profits. So Mr Mort came up with the idea of ‘share holders’. Not a bad claim to fame. Thomas was also known for speculation in the local pastoral industry as well as industrial activities such as his Ice-Works in Sydney's Darling Harbour and dry dock and engineering works at Balmain. Mort's links to Lithgow NSW, relate to his attempts to develop a refrigeration works for the export of meat. As a part of his refrigeration development, Mort developed a large abattoir where sheep and cattle were driven in from the west, slaughtered and refrigerated for later transport. T S Mort had previously carried out his own experiments in the production of ice, and family legend has it that, upon hearing of the discovery of a prehistoric mammoth preserved in the frozen wastelands of Russia, he had dreamt of exporting frozen meat to England. T S Mort had extensive cattle and dairy interests and saw that the colony needed to develop an export trade in those commodities if it was to progress. At the time only salted meat and meat extracts could be exported and these items were not popular with consumers. A cheap and efficient means of refrigeration for use in the hot Australian climate and for dispatching frozen and chilled cargoes to England, Europe and America would expand markets enormously. In 1875, to mark his achievements in the refrigeration techniques, Mort arranged a picnic for 300 guests. He organised a special train from Sydney and fed his guests food that had be refrigerated at his plant for over 18 months (Lithgow Public School 1947). Mort, however, was to suffer numerous technical difficulties in the export of meat to overseas markets, only achieving his first successful shipment in 1880. Surplus tallow from Mort's abattoirs was used to make soap in a soap factory in Soapy Gully, later to be known as State Mine Gully. The Thomas Sutcliffe Mort Award is an award for outstanding engineering design or application. This award is offered in memory of the pioneering refrigeration work carried out by Thomas Sutcliffe Mort in the preservation of food by the application of cold. T.S. Mort was responsible for the first refrigerated meat works in the world, at Darling Harbour in Sydney, and was involved heavily in the early refrigerated shipping of meat to the UK. His first marriage in 1841 was to Theresa Shepheard Laidley, dau of James Laidley, Esq., of Sydney, Deputy Commissary General and his wife, Jane Shepheard. They had five sons and two daughters. One of his daughters from this marriage was Annie Catherine. She married in the Rt. Rev. John Richardson Selwyn, Bishop of Melanesia, who was the 2nd son of Rt Rev George Augustus Selwyn and Sarah Richardson, daughter of Sir John Richardson. The Rt Rev George Selwyn had served as the Bishop of New Zealand and later was appointed Bishop of Lichfield. His second marriage was to Marianne Elizabeth Macaulay by which he had two more sons. One son from this marriage was Macaulay Mort. He was born 12th Feb 1875. He attended Winchester and Magdalen College, Oxford. He was called to the Bar in 1901. In 1899 he married Agatha Mary Courtney. Macaulay and Agatha had a daughter, Stella Margaret Mort. In 1926 Stella married Victor Henry Sandford, only son of Henry Sandford of Oakdale, Broomhall Park, Sheffield. A brother of Macaulay Mort was W. E. Mort of Sydney, N.S.W. W. E. Mort had a daughter Jocelyn, who was married in 1910 to the Lt Gerard Aylmer Wells, R. N., 2nd son of Admiral Sir Richard Wells. The wedding was conducted by the Rev. Ernest Mort, another uncle of the bride. One of her bridesmaids was her sister, Gladys Mort. At some point in writing a story about a person or event, you have to draw the story to a close. The fact is, that this Lancashire born lad could have an entire book or even a film written about him and it would still not be enough to describe his remarkable achievements. Any Hollywood moguls reading this - here is your next Crocodile Dundee (with brains and then some)! He was innovative, intelligent beyond his era and a true inventor. He was after all a ‘Lancashire Mort’! He was born into the time of the Lancashire industrial revolution and we in the Motherland, kindly allowed Australia to utilise his brains and experience. He is now an Australian hero and one that this website is very proud of.